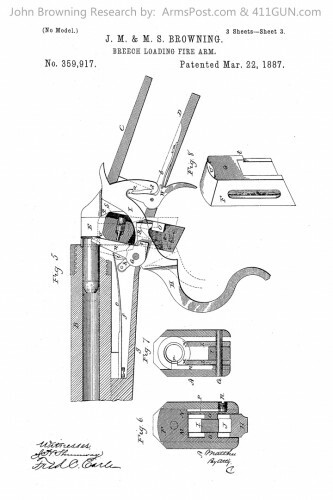 John Moses Browning was granted US Patent 359917 on March 22nd, 1887. This design was a lever action repeating rifle. 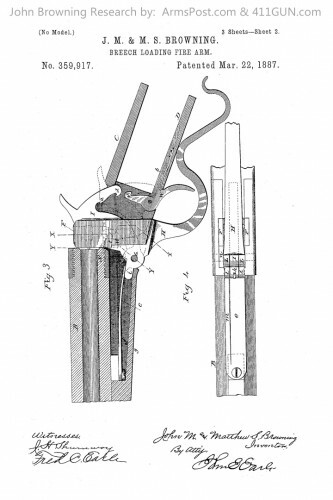 He had applied for this patent on September 6th, 1886. 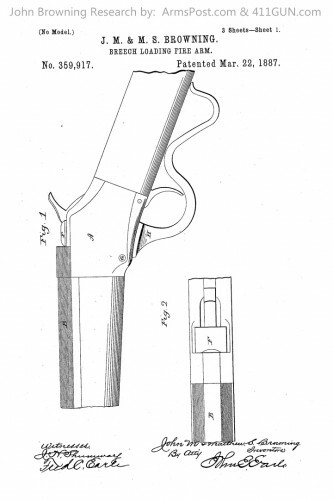 The patent was categorized as a breech loading firearm. The lever action functioned with a hammer firing mechanism.